Book Review: ‘Dr. Colbert’s Hormone Health Zone: Lose Weight, Restore Energy, Feel 25 Again!’ by Don Colbert, M.D. Diseases and ailments plaguing us can be reversed by optimizing our hormone levels. The epidemics of obesity, Type 2 Diabetes, heart disease, high cholesterol and more persist throughout our society, even with an abundance of drugs available to combat them. When symptoms don’t improve, doctors generally prescribe another medication, often overlooking the root cause of the disease. But Don Colbert, an anti-aging specialist, believes most diseases and ailments plaguing us can be reversed by optimizing our hormone levels. 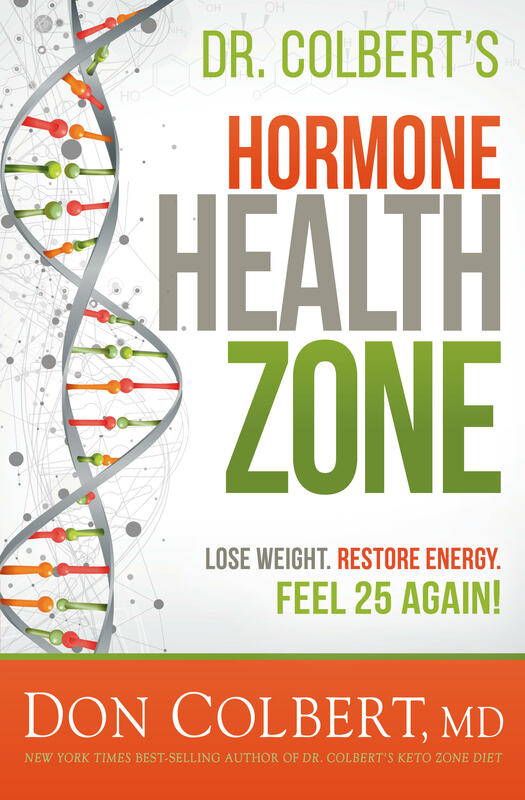 In his new book, Dr. Colbert’s Hormone Health Zone: Lose Weight, Restore Energy, Feel 25 Again!, this bestselling author of numerous health-related books makes the case for going beyond balancing hormones, and optimizing them to bring them to the upper end of normal ranges. He includes several case studies in which patients suffering from various major diseases optimized their hormones and their symptoms disappeared. In fact, the book includes a list spanning four pages of symptoms that are related to low (yet often still within “normal” range) hormone levels. Once beginning hormone replacement therapy, the author’s patients reported feeling stronger, more energetic and symptom-free within three to six months. Dr. Colbert emphasizes that hormone replacement therapy should only involve safe and natural bioidentical hormones, opposed to synthetic hormones, which are associated with several adverse effects. He explains how much of the hormone confusion over the years, in which hormone therapy was called into question after studies showed associated cancer and other risks, was due to synthetic hormones. Instead, he cites studies showing how bioidentical hormones — specifically estrogen, progesterone and testosterone — actually prevent cancer, heart disease, heart attacks and more. Dr. Colbert’s Hormone Health Zone begins by establishing the foundation for the many health benefits of hormone optimization. It then analyzes, chapter by chapter, the particular benefits of specific hormones to various health issues. For example, testosterone, which is beneficial for both men and women, provides the most health benefits mentally, emotionally and physically of the various hormones. From age 35 onward, men in particular lose 1 percent of their testosterone production per year. In addition, testosterone-killing drugs, such as cholesterol-lowering statin drugs, certain blood pressure-lowering drugs and antidepressants, leave more than half of all men over age 50 with dramatically lowered testosterone levels. Dr. Colbert advises that, starting no later than age 40, we get annual blood tests to make sure our hormone levels are not only within range, but in the upper range of normal. He provides a list of what specifically to test for, as most doctors don’t order all the specific tests needed. And, if our personal physicians are reluctant to go down this road, the book includes a list of online directories of doctors who practice bioidentical hormone replacement therapy. Dr. Colbert’s Hormone Health Zone offers a comprehensive guide to help us close the door on numerous diseases and maintain maximum health as we age. It’s a valuable resource that can have a life-enriching effect. To learn more or sign up for free resources, visit hormonehealthbook.com.